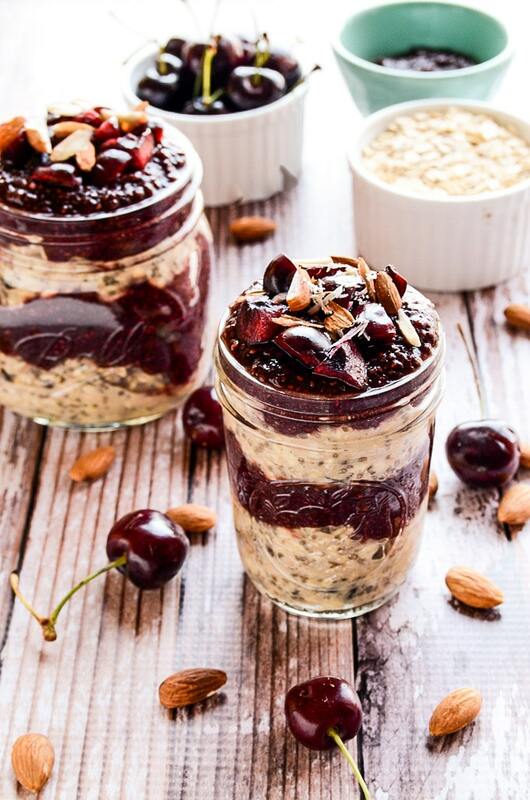 These vegan cherry chia jam overnight oats are home to two of my favorite things: creamy oats and summer’s sweetest bounty (read: bing cherries)! Oats are whisked with almond milk, vanilla extract, chia seeds, cinnamon, maple syrup, and cocoa nibs. The oats chill and thicken overnight, making for a very hands-off recipe. 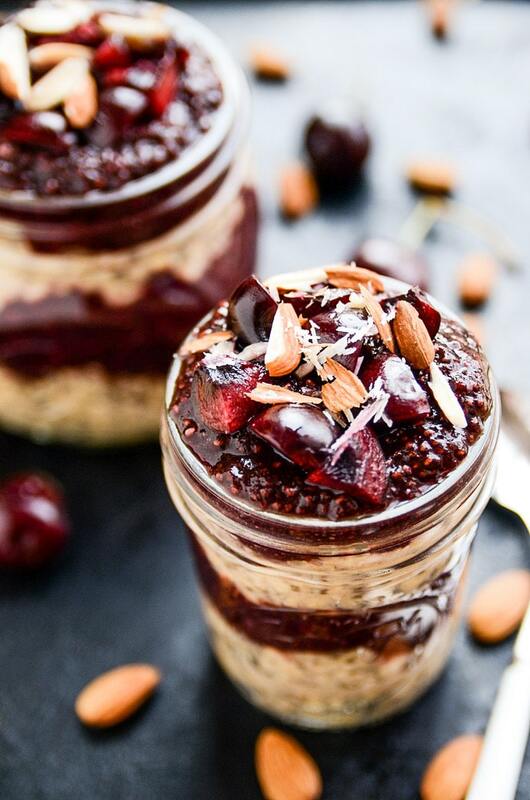 In the morning, those creamy overnight oats are layered with a sweet cherry chia jam that’s made with three simple ingredients: sweet cherries, pure maple syrup, and chia seeds. I tend to go through phases with my breakfast choices. One month I’m all about the smoothies and the next it’s oats for days. Can you guess which phase I’m in now? Oats! I’m all about the oats at the moment; however, warm oats in the hot summer aren’t very appealing, so I’m currently on a cool, overnight oats kick. If you’ve never had overnight oats before, where have you been??? Just kidding. But really, where have you been? You’re missing out on convenience and awesomeness and flavorful goodness, and I’m not okay with you missing out on any of those things. Time for you to jump on the overnight oats bandwagon, my friend. 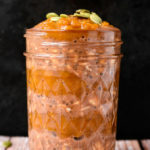 Overnight oats are oats that have been soaked overnight until they’re tender and puffed-up with whatever flavors you choose to infuse them with. In this case, oats are combined with almond milk, vanilla extract, chia seeds, cinnamon, maple syrup, and cocoa nibs. 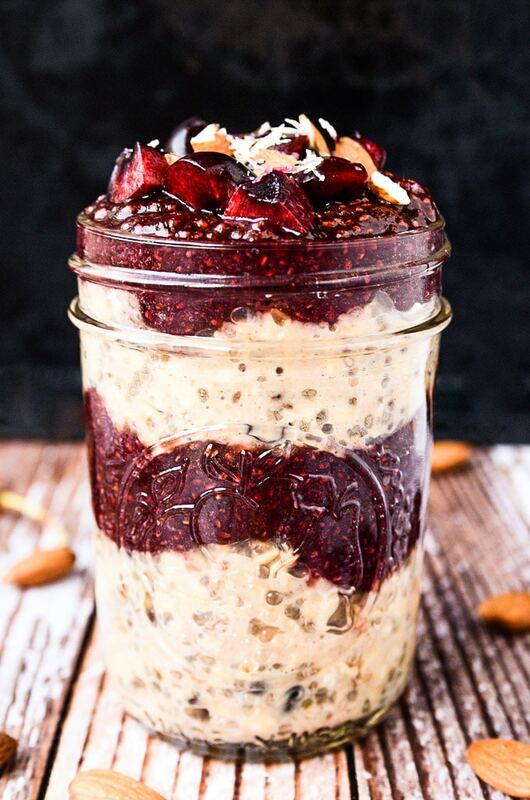 While this particular combination of overnight oats is perfectly tasty on its own, the real kicker in this recipe is the raw cherry chia jam. 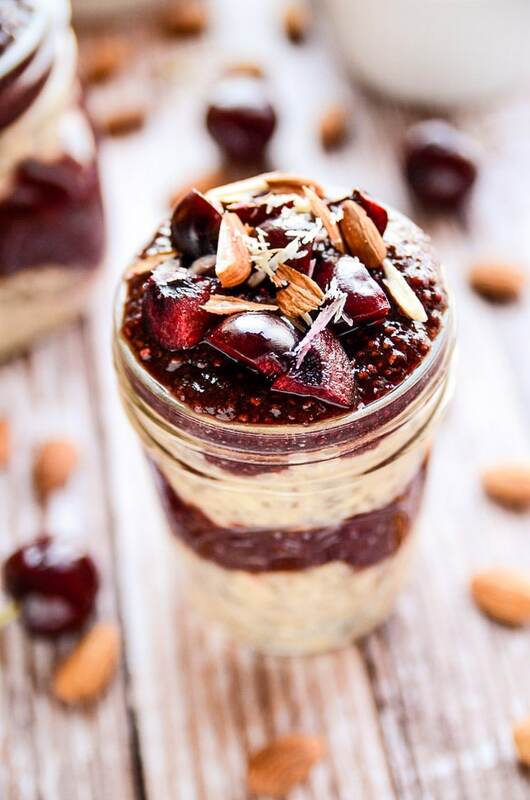 Making it is as simple as tossing a bunch of fresh cherries (pit them first or your blender will never forgive you) and pure maple syrup into a blender, blending on high, and then stirring in chia seeds. The chia seeds become gelatinized overnight and thicken the blended cherry mixture to yield a jam-like consistency by morning. Then, you’ll layer oats and cherry chia jam and garnish everything with fresh cherries and chopped almonds, if you so choose. The best part, of course: enjoyment. Since you can make everything the night before and simply layer in the morning, this breakfast is great to prepare on Sundays and enjoy for breakfast throughout the week. It makes 3 large servings or 4 smaller servings, so it can get you through a good portion of your weekday mornings. 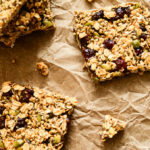 Plus, it’s incredibly energizing and filling thanks to the protein in the oats and chia seeds, so it’s the perfect fuel for those extra-busy days. 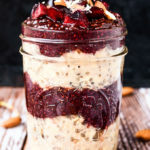 These vegan cherry chia jam overnight oats are home to two of my favorite things: creamy oats and summer's sweetest bounty (read: bing cherries)! Oats are whisked with almond milk, vanilla extract, chia seeds, cinnamon, maple syrup, and cocoa nibs. The oats chill and thicken overnight, making for a very hands-off recipe. 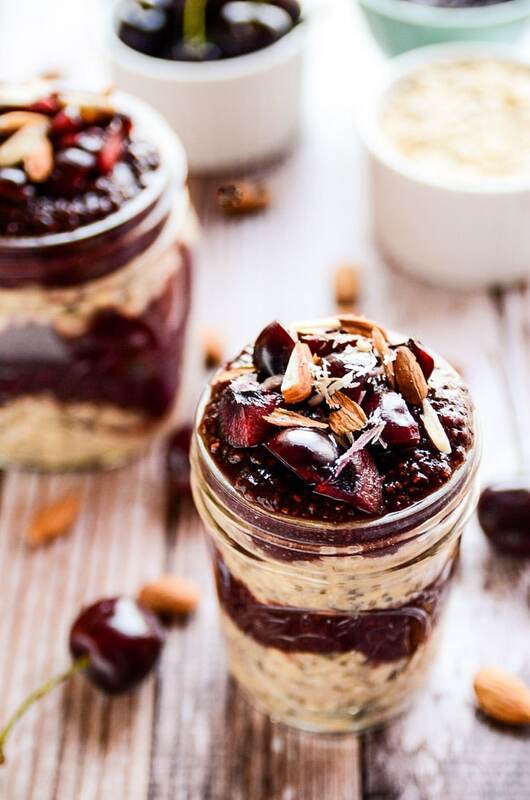 In the morning, those creamy overnight oats are layered with a sweet cherry chia jam that's made with three simple ingredients: sweet cherries, pure maple syrup, and chia seeds. 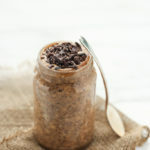 Add the rolled oats, almond milk, chia seeds, maple syrup, vanilla extract, cinnamon, and cocoa nibs to an airtight container. Gently whisk and refrigerate overnight or for at least 8 hours. 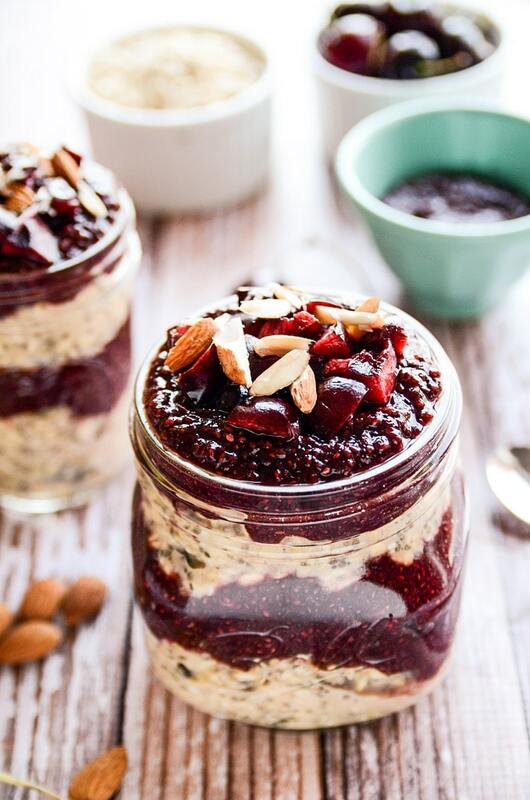 In 3 or 4 small serving jars, layer the oats and cherry chia jam. Garnish with chopped cherries and almonds, if desired. Serve immediately or refrigerate for later. 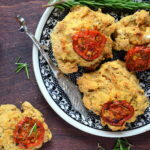 This recipe makes 3 larger servings or 4 smaller servings. 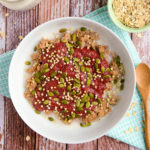 I like to make the oats and cherry chia jam on Sunday and then enjoy this dish for breakfast on over the next few days. You can easily cut this recipe in half if you want just enough to serve two. 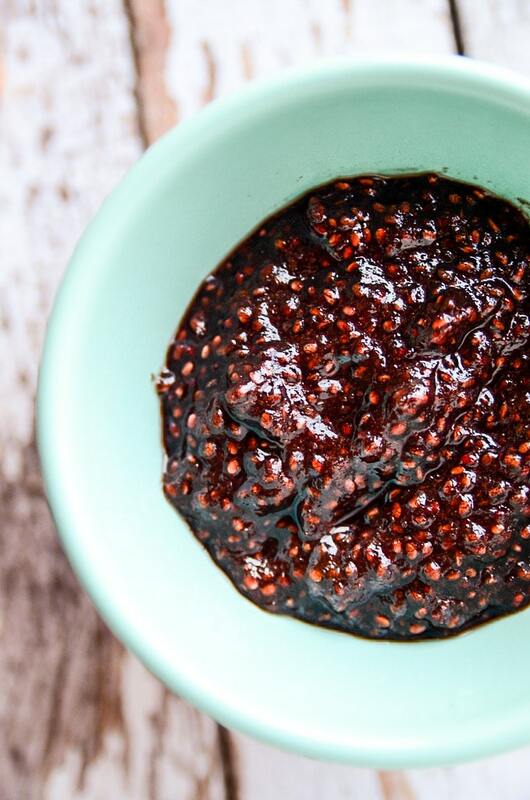 This raw cherry chia jam is incredibly easy to make and totally swoon-worthy. 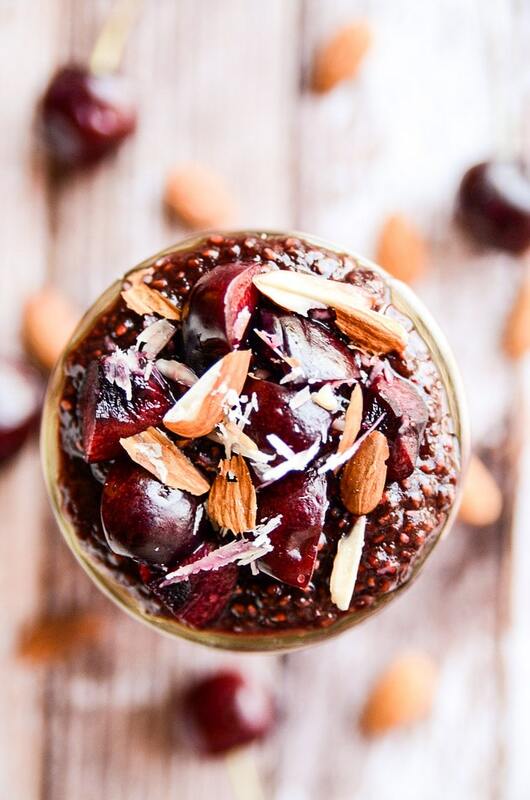 Making it is as simple as tossing a bunch of fresh cherries (pit them first or your blender will never forgive you) and pure maple syrup into a blender, blending on high, and then stirring in chia seeds. The chia seeds become gelatinized overnight and thicken the blended cherry mixture to yield a jam-like consistency by morning. Add the fresh cherries and maple syrup to a high-powered blender. Blend on high for 1-2 minutes or until completely smooth. Pour into an airtight container and stir in the chia seeds. Cover and refrigerate overnight or for at least 4 hours. 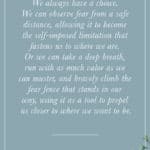 Interesting and timely post…I asked my husband how he could eat hot oatmeal in the summer. Now he has an alternative…thank you! This is exactly the recipe I was looking for! I love making overnight oats for my daughter to have in the morning. Do you have a trick for getting rid of the seeds in your cherries? Or do you just cut around the seed? Hi, Samantha! That’s so sweet that you make overnight oats for your daughter; I bet she loves waking up to them in the morning. Just wanted to tell you that I’m fascinated with your recipes and photographs!.. I’m definitely going to try this recipe to switch it up a little from having green monster smoothies every morning..
You can buy cherry pitters at a kitchen store. It’s just a hand tool, and one cherry at a time, but I’m amazed how well it works. I just bought it last week and happy to see this recipe so I can use my cherry pitter. Initially bought it to freeze some cherries, without all the labour. Hope you buy one. You will be amazed too, I’m sure if it. Hi Ashley! 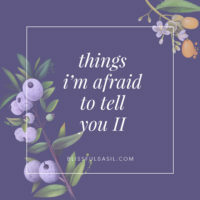 Just found your blog via Tumblr and I will be following! I have to say, I really want to try this recipe but… I’m not a big fan of cherry flavor. :( Do you think it would be at all possible to substitute another fruit? Hi April! 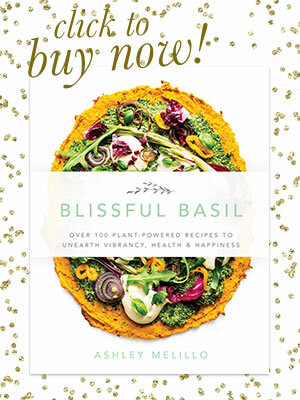 I’m so glad you found Blissful Basil, and thanks so much for following! Honestly, there are so many fruits that would work just as well in this recipe! It’s quite versatile, but I would try to stick with berries so that the spices meld. I would say strawberries, raspberries, and blueberries would all be a great place to start. Mango might also work, but I’d probably omit the cinnamon in the oats for that combination. If you substitute another fruit, I’d love to hear how it works for you! 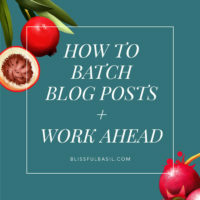 I am a new FAN also Ashley; the jam looks fantastic and quick and simple. I was thinking of freeaing some of this jam. Have you frozen any? Result? Hi Edna! I’m so glad you’re a new fan — that makes me smile! I haven’t tried freezing the jam, but I’m guessing it would hold up just fine if you slowly thawed it out in the refrigerator. If you try it, I’d love to hear how it goes! 1. 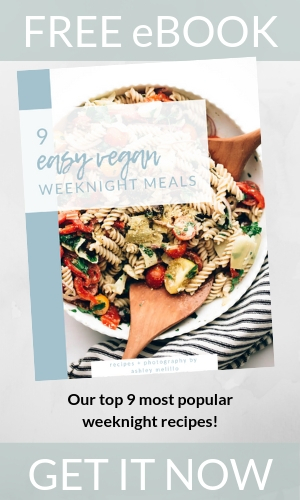 Can I substitute almond milk + vanilla extract with simply vanilla almond milk? 2. 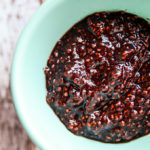 If I want to try my own raspberry jam instead of cherries + maple syrup, how much chia seeds will I need to add? 1. I would use vanilla almond milk and taste the pre-soaked mixture to see if it has enough flavor. You can always add the vanilla extract in later! 2. Since I haven’t tried adding the chia seeds into raspberry jam, I’m not positive about the ratio, and it really depends on how thick your jam is to start. I would try adding in 1 tablespoon of the chia seeds at a time, wait 10 minutes, and check the texture to see if it’s thickened enough. You could also omit the chia seeds from the jam, but they are great nutritional powerhouses! I hope this helps, and I’d love to hear how your substitutions work! Hi Nancy, if you divide it into 3 servings, it has about 350 calories per serving for the oats and chia jam. 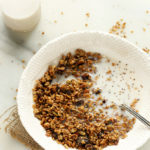 Sounds great..reminds me of Muesli…same procedure with oats, but I add dried apricots, raisins, almonds or walnuts, dried cherries/cranberries, crushed flax seed, maple sugar to taste, a little cinnamon,and let it all plump overnight in whatever milk/cream/liquid you desire…you can eat it cold or microwave for hot…Good either way. Our cherry season is short in NH so I resort to dried for year around Muesli. What is the trans and saturated fat with an 8 ounce serving? Really want to try this! Hi Gail! I don’t calculate nutrition information and it isn’t my area of expertise, but I believe the answer is “0” for both trans fat and saturated fat. With the exception of coconut oil, very few plant-based ingredients contain saturated fat and I stay away from all trans fats. Is there a way to use frozen cherries with this recipe? I just made these lastnight. I substituted honey for the maple syrup cause that is what I had on hand and I forgot the cinnamon (oops) but they seemed to work out just fine. Oh, I used frozen cherries, I just let them defrost a bit so my bullet blender could pulse them. Turned out tasty though. Hi, Allison! Thanks for taking the time to share your feedback and adjustments. I’m so glad it worked out well with frozen cherries and that you enjoyed it! The cherries were something I had frozen myself from a local market visit. Even my husband who is not a fan of milk in oatmeal liked them, so we now have a breakfast option for school in the fall! Thanks! I just made this recipe this morning! It was super good! Thanks for the recipe! So glad you gave it a whirl and enjoyed it, Vienna! Thanks for taking the time to share your feedback! Cosco has delicious frozen pitted cherries. Will be perfect for this. Hi, Joyce! I’m so sorry, but I don’t calculate nutrition info for my recipes (more information on my Facts page as to why). There are lots of great online calculators though.